MAJOR UPDATE (11-3-16): Nearly all pricing has changed. Also as of THIS MONTH our drop-in lead time has been reduced to 1-2 weeks on average for STOCK kits. Customized kits may be longer. 1) What you are ordering -- Model, Coil Configuration, Etc. 2) If you already have a basket or not; please check below for any special notes. 3) If you need ANY custom options please specify up front. 4) !!! YOUR ADDRESS AND NAME !!! 5) A picture of what you have goes a long way to be SURE we are talking about the same thing. IT WILL TAKE, ON AVERAGE, 1-2 weeks for a built item like a drop-in to be completed. It may take longer depending on how busy our build department is and/or if all of the parts are currently in stock -- please keep this in mind. Updates will NOT be sent along the way -- an update will occur when the product is shipped. You can e-mail us to check on the status, although, an exact completion time may not be available you make sure we received payment & it's in the works. WE CANNOT WARRANTY DIY RE-CONE ASSEMBLY ISSUES. If you are not 100% sure about re-coning the driver yourself SEND IT IN to us. We can ONLY stand behind labor that we perform. Manufacturing defects in the kit itself are of course our responsibility but installation is 100% the customer responsibility. MAKE SURE to check your re-cone BEFORE installing it for complete accuracy. This includes using a DMM to make sure you received the correct voice coil configuration. As this is a DIY process everyone performing a drop-in should have access to a multi-meter. If there is a mistake on the kit we need to know BEFORE you glue it all in place!!! Once the kit is glued into place we will not be be liable for any errors in it's construction. CHECK IT OVER FIRST. If it is not correct we will issue a call tag for it and build you the correct kit for you ASAP. Also... any CHANGES to a drop-in order must be done in the form of a new order so that ALL of your details are IN WRITING on the payment slip from Paypal. There will be absolutely NO changes to drop-in orders on the phone! All changes & drop-in orders must be in writing. This thread over-rides any prior quotes or costs. These prices are the same for everyone; Team, dealer, customer, etc. All costs + SH charges. KITS DO NOT include shims or glue. White paper trimmed / stacked to spec works perfectly for shimming -- use enough where it is snug but not so tight you can barely get the coil in the gap. For glue we suggest Loc-Tite 5-minute epoxy with mixing tubes to glue the spider to the frame (MAKE SURE to sand it first) and we suggest E6000 for the surround* and dust cap (sand frame for surround and rough up the glue surface of the dust cap with sand paper as well). These can be purchased online (click the links above) or at most hardware stores. Surface preparation is key for adhesion -- we also suggest cleaning the surround glue surface with rubbing alcohol, ESPECIALLY, on any "new platform" drop-in kits (Mega-Roll Surround or New SPL Surround). This is *critical* for proper adhesion. After you have thoroughly cleaned the surround glue surface make sure to let it FULLY dry before gluing it down. MANY kits DO NOT include the solder tabs that attach to the terminals; these should be RE-USED. If you require new tabs you will need to request them and there will be a charge for them. * -- Note on Mega-Roll v.1/v.2 Surrounds... clear E-6000 is not a great choice for these specific surrounds (it works great on any other surround we produce). We suggest either Epoxy (the same Loc-Tite product will work) or BLACK E-6000. The frame price comes with gasket and terminals -- but if you need any plastic spacers those are extra and you must request them. !! !FOR SA-8 KITS SEE THIS THREAD TO DETERMINE WHAT MODEL YOU HAVE. WE MUST HAVE THIS INFO TO MAKE THE CORRECT KIT!!! * MUST SPECIFY v.1 or v1.5 when ordering !!! * MUST SPECIFY v.2 or v.3 when ordering. * You CANNOT change the impedance of your SD-2 8" -- you must order the same coil as it originally had; the D2 and D4 gaps are different. * You CANNOT change the impedance of your SD-3 series -- you must order the same coil as it originally had; the D2 and D4 gaps are different. IMPORTANT NOTE : YOU MUST USE OUR NEWEST 12-spoke 15" FRAMES TO USE THE Z v.3, v.4, X OR NS v.3 SPIDER PACKS !!!! They are 213mm spiders and require a modified top landing. The other spiders for 10/12 and the 18 are compatible with any 12-spoke / 6-spoke that I am aware of. ** We can add an additional spider layer for $10 extra EACH layer. * We will by DEFAULT use the Mega-Roll v.2 & Brown Spider if you do not specify (v.2 Spec). * Any X Series (v.1 or v.2) equipped with the Mega-Roll v.2 surround will use a softer spider of 3-layers that is light brownish in color. ** Any X-18 built with the new 18" frame ALSO gets an automatic upgrade to NS v.3 coil. * We will by DEFAULT use the Mega-Roll v.2 & Black Spider if you do not specify. * Any Z v.4 series (Rev.1 or Rev.2) equipped with the Mega-Roll v.2 surround will use a softer spider of 4-layers that is black in color. Originally the NS v.3 had the Mega-Roll v.1 & Red Spider -- that is no longer default. * All NS v.3 drop-ins will default to Mega-Roll v.2 & Red Spider if you do not specify -- we need you to SPECIFY if you want the old Mega-Roll v.1 surround. * The standard Red spider pack is used for any NS v.3 with Mega-Roll v.1 or v.2 surround. 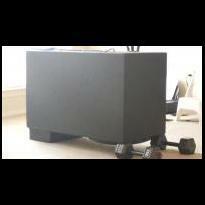 ** SPL Surround is MUCH stiffer - we suggest a black or brown spider. ** The spider OD will be reduced to the next smaller size (12s get 8 3/8", 15s get 9.25", and 18s get 9.25") when using 3 or more layers. ** The 10” models can only be made with up to 2-layers of the 8 3/8” SPL spider pack. *** NEW : You can add a CARBON FIBER dust cap for $60.00 additional on ANY new platform drop-in kit. It will come blank without a logo.